In most of his works, the viewer can find the influences of the gracefully bending human forms of the Ajanta murals, the body language of the Tanjore wall paintings, the sharp and angular faces of Jain miniatures, and the fish-eyed females of Pahari paintings. 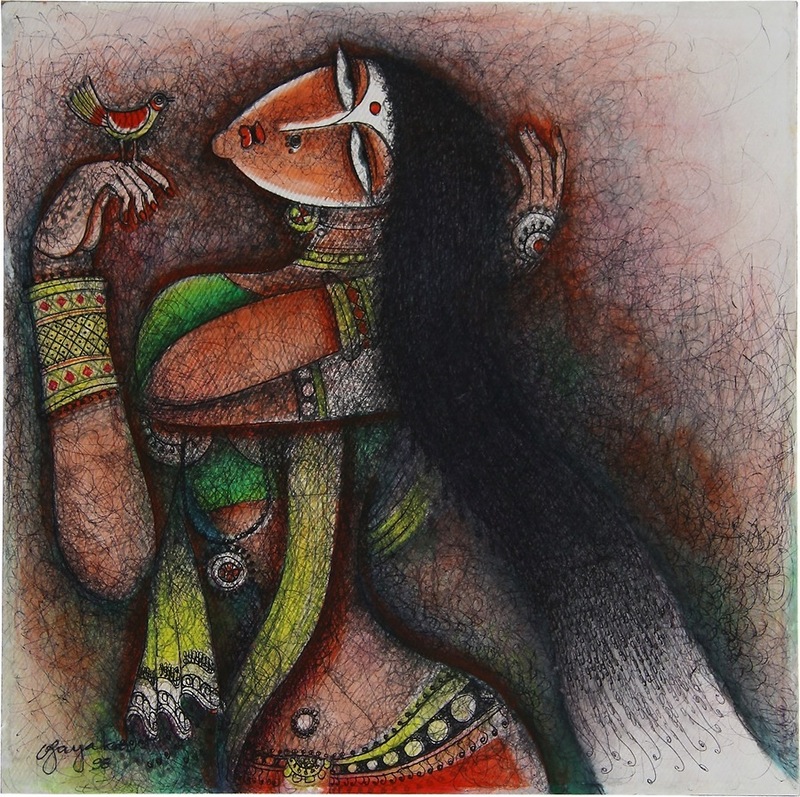 Strictly speaking, Jayakar’s works are a hybrid wherein the Western wash techniques are used as a medium for enhancing traditionally defined forms which were already in existence for more than two thousand years. So whenever a viewer attempts to classify his art as traditional, there emerges the question: Whose tradition?